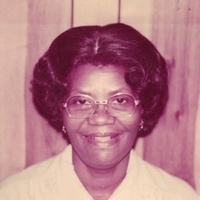 Maud Esther Etheridge, age 95, homemaker, a resident of Eufaula, OK; slipped the bonds of this earthly realm unto eternity, Sunday November 4, 2018 in St. Francis Hospital, Muskogee, OK.
A Home Going Service is scheduled Saturday, November 10, 2018, 1:00 p.m., Sulphur Springs Baptist Church, 244 Harrison Ave., Eufaula, OK; with Rev. Dwight Porter, eulogizing. Visitation will be Friday, 1:00 p.m. until 6:00 p.m.